If you are buying your first saxophone, or are a parent wondering what to buy for your child who is learning to play, here is some good solid saxophone buying advice for you. This is a big topic and there is a ton of information out there to influence your decision. I often find that having too much to choose from makes things more difficult. With that in mind, I’m not going to give you a long list of different saxophone models weighing their pros and cons. I’m going to give you some basic criteria to consider, and recommend one particular saxophone. If you can’t wait to know what that is, skip to that part. So, the player buying their first saxophone will likely be in one of two groups. Either you already have access to an instrument that you are playing, or you don’t. Your saxophone has seen better days? If you already have a saxophone to play that doesn’t belong to you, it is either borrowed, a school instrument, or a rental. I have taught in lots of different public schools and also worked in music stores, and music instrument repair shops so I am very familiar with school instruments and rental instruments. In most cases, these instruments are very poorly maintained and will not be in great playing condition. This is just the nature of school budgets for music programs, and music stores’ need to make a certain profit on their rental instruments. Also, instruments being used by young students get abused and manhandled. They are delicate and easy to break if not handled properly. Maintaining and fixing broken musical instruments is very expensive and time consuming so unless a school has lots of money lying around to spend on this maintenance, these instruments get neglected, and gradually, over the years become very hard to play. If you have been playing on one of these instruments, I hope you are lucky enough to have access to a newer one that is in good shape. If that’s not the case, and the saxophone you play is banged up and doesn’t seem to play right, you’ve got a great reason to buy yourself another one. 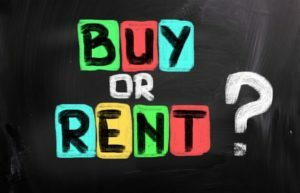 Parents looking for saxophone buying advice always ask me “should I buy or rent?” The answer is that if you buy the right instrument you can’t lose, even if your child loses interest after one year. Finding the right instrument within your budget is the tough part. If you buy a quality instrument new (student level), and you or your child take good care of it, you should be able to subtract the amount you would have paid for renting plus damage insurance and sell it for close to this price on ebay or your local classifieds. The longer you play the instrument, the better value you get and the slower the resale value depreciates. When it comes to used instruments, it is very difficult to know if the playing condition is like new. If it’s not, you will have to invest in repairs by a qualified repair technician. The cost of these repairs can often make the purchase of a used saxophone a bad investment. It is also going to be difficult to know if your local music store is reputable. Many are not, sadly. If you are lucky enough to have a teacher, or professional that you trust who is recommending you buy a particular used instrument, then you should probably follow their advice. Years ago, most towns had a local music shop that sold instruments. These days, local music shops are much less numerous as they can’t compete with internet retailers when it comes to selling student instruments. You may not have a local music store near you that sells saxophones, or you may be tempted by the attractive prices you see on-line. You can certainly buy a new saxophone safely on the internet, but how to know which one to get? Some good news about Cheap Saxophones. When saxophones made in China first came on the market they were very cheap, but also very, very bad. The materials they were made from were of very poor quality and even at their very low price these instruments were a very bad investment. In recent years, however, new instruments have been coming out of China and other Asian countries that are both inexpensive, and of good enough quality that a beginner could get some good use out of them. There are so many different brands of these instruments out there now, that it is really impossible to list which ones are a safe buy. These instruments will not hold their value, and will be tough to resell down the road, since they were so cheap in the first place. Depending on their build quality, you could end up having to pay for maintenance and repairs that would not be necessary on a better quality saxophone. 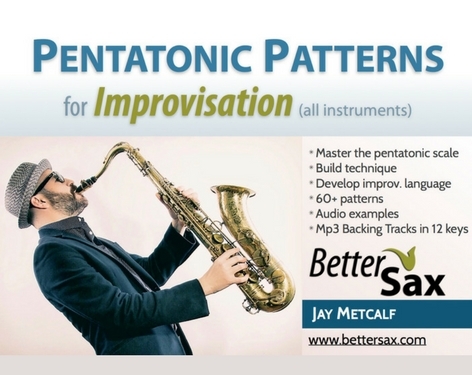 I don’t recommend these instruments, since if you or your student stick with the sax for more than a couple of years, you will want to upgrade to something better. You will be stuck with a saxophone, that no one wants to buy and have to purchase another more expensive one. If you had started with the better quality instrument from the beginning will have saved a bunch of money. In addition, you have an horn that can be resold easily. Again, I do not recommend you buy one of these Chinese horns unless your budget won’t allow you something better. If you do buy a Chinese or Taiwanese sax, you must get a proper mouthpiece for it. The mouthpiece that comes with these instruments has not been improved as much as the horns have over the years, and is generally terrible. A good mouthpiece can make a low cost saxophone play pretty well. I have my students buy a Yamaha Alto Sax Mouthpiece 4C or a Yamaha Tenor Sax Mouthpiece 4C off the internet. These are well made and very affordable. Again, this is a must if you are not buying an instrument from one of the well established and respected saxophone makers. Yamaha. Buy a yamaha saxophone, (flute, trupet, trombone, clarinet, guitar, piano) and you can’t go wrong. A new one is quite expensive these days even for their student line, but will still hold it’s value well. It will come with a very sturdy case, which is very important especially for younger students. It will also come with a quality mouthpiece, ligature and neck strap, so you don’t need to purchase these accessories separately. For beginners, there is the YAMAHA YAS-280 Student Alto Saxophone. This instrument is very well made, comes with a great case, mouthpiece and neckstrap, and will last a lifetime with regular maintenance. Only students that progress to a very high level will ever need more saxophone than this. Many of my students play on this instrument and they always get many years of use out of it and only the most advanced ever feel the need to upgrade. Yamaha also make Yamaha YAS-480 Intermediate Eb Alto Saxophone. If you are serious about the saxophone and want a serious instrument, this is a great choice and you can’t go wrong. I used one of these (at the time the model was called the YAS-52) until I went to university where I majored in saxophone performance. This horn will have your saxophone needs covered very well until you reach the level where you’re ready to go pro. Finally, if you are ready for it, or just want to have the best Yamaha saxophone out there they’ve got 3 models of professional horns. The Yamaha YAS-62II Professional Alto Saxophone Lacquered is the classic professional model and there is also the Yamaha YAS-875EXII Custom Series Alto Saxophone Lacquer and the Yamaha YAS-82ZII Custom Z Alto Saxophone Lacquered . In order to even notice the difference between these saxophones you need to be a very high level player. I am always looking at the online classified ads for used saxophones. Usually to help a student find a good instrument, but also in case I find a hidden undervalued treasure. These are hard to find. But something that is very easy to find, is a great used Yamaha saxophone being sold at a fair price. Most of the time, these instruments are in fantastic condition, and come with everything you need to play right away (mouthpiece, ligature, neck strap). Very often, they also include other accessories that like a stand, extra reeds, another mouthpiece, better neck strap, cleaning swab, method books. Very often, the original owner bought the horn, used it very little, and eventually decided to sell it. If you buy one of these, be sure to take it to a qualified repair technician for an adjustment to get it into top condition. The best case scenario, is to have the horn looked at by a teacher or professional saxophone player before you buy, but this is not always possible. 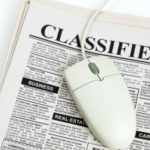 Check your local classifieds first. Here, you can often negotiate the price with the seller and see/try the horn before purchasing it. Use ebay to see what the going market price is for a particular model in a given condition. You can even do a search for completed auctions on ebay to see the final selling price of individual items. This is great for getting an idea of the real price of an instrument if you are in the market or selling your own. positive rating. I advise asking the seller questions about the instrument during an ebay auction. Their replies will indicate to you if their description is accurate and if they actually know how to evaluate the condition of a used saxophone. Here is a quick link to ebay with a search for Yamaha saxophone. You can refine your search by type of horn ie. alto or tenor and model number from there. You will notice that there are several different model numbers on offer. This can be confusing so check out this list of Yamaha saxophone model numbers with the year of production as well as the level of instrument from student to professional. There’s a lot of information there you may not need, but you can find the info on any of the Yamaha instruments you might see for sale on ebay or elsewhere. 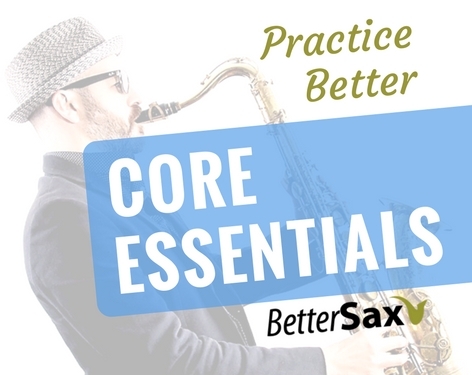 Very simply, you cannot know what is the “best” saxophone for you until you have developed a significant amount of skill on the instrument over the course of years of study and practice. 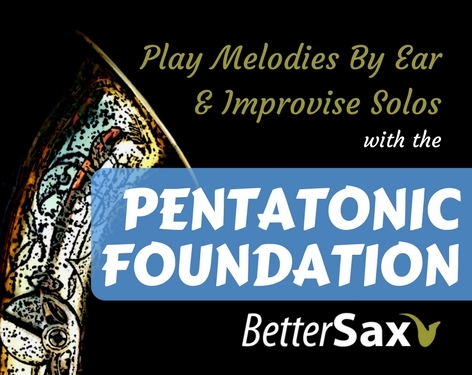 Before you’ve arrived at this level of proficiency, you cannot really take advantage of the nuances offered by one particular model saxophone over another. 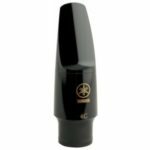 You are much better off finding a mouthpiece and reed combination that suits you in the beginning stages, and choosing a modern horn that is solid and plays in tune. My first saxophone was a Yamaha AS-52 that my father bought for me new when I was 13 years old and had been learning the saxophone at school. This replaced my Bundy II alto saxophone that was a rental. My dad was good friends with the owner of the music store where he bought it and I’m sure he got a good deal. The AS-52 was the intermediate alto saxophone model at the time. I used that instrument all through high school and into my first year of university where I finally felt the need to upgrade to a professional instrument. In all honesty, I could play that first Yamaha saxophone of mine today on any professional gig with my mouthpiece and there would be very little difference in sound and playability between it and the horn I play today (Yanagisawa AWO10 Alto Saxophone Lacquered ). When I did upgrade, we sold the Yamaha 52. I don’t remember the prices, but since it was still in great shape, the sale of that instrument surely helped offset the price of my new horn (a Dave Guardala alto from his first production line). That sax was a fantastic investment, and it is likely that someone is still playing it today 30 years later. As a repair technician I can’t recommend enough the Yamaha instruments whether they be saxophones, flutes, clarinets, trumpets, trombones, or anything else. They are built very well and made to last. Repairs are easier on Yamahas due to their great design. The case that comes with the newer models is very practical as well and helps keep the instrument working well. 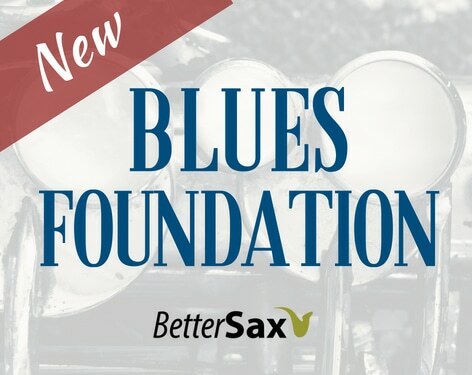 While there are other fantastic saxophone brands and models that are also great value, these companies don’t offer affordable lower priced models that are as well made as Yamahas are. It’s worth mentioning here that I do not have any affiliation with any of the companies mentioned in this saxophone buying advice post. I do not currently play on any Yamaha products (although I do drive one of their motorcycles which is amazing). If I had joined your site sooner it could have saved me a lot of time and research. I had not played since ’79 in college when I sold my Mark VI for 500 bucks. Having been out of the loop and an accordionist, used beat up Mark VI’s sell for 5 grand. I went for a used Yamaha YAS 62 II based on players/repair technicians reviews. I think it’s best to hear from someone, like you, who not only plays but repairs if you are getting a used horn. A company that seems to have good reviews is Thomannmusic.com in Germany. Yamaha YAS 62 04 (they said the 04 is a new 62 II) sells for only $2095.00 with 35 bucks to ship to the states and then VAT tax when it arrives probably about 100 bucks more. Same horn in the states sells new for $3200.00. Thomanns also said they usually don’t check Yamaha horns before shipping, but agreed that they would check it for free if requested. For someone in the States they have really good deals. I order from Thomann all the time. They are solid. You cannot go wrong with a Yamaha 62. Good luck with it. You are better off changing your mouthpiece and reed setup in my opinion. You have much more flexibility with the sound and ease of play there. In reality, all saxophones in good working order should blow more or less the same in terms of how much air to put through them. Have you had your Keilwerth checked for leaks? What mouthpiece and reed setup are you using? Check out my posts on saxophone mouthpieces. This has been very helpful in deciding which way to go. Good, I’m glad it helped. My father (deceased) has a Selmer Tenor Sax: 1952 Super Action BREV SGDG 3830 8. It has a Soloist C mouth piece. Would you be kind enough to give me your thoughts and evaluation of this instrument. Without seeing detailed pictures it’s hard to give you accurate information. 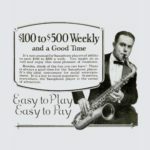 You can go to this site: http://www.saxpics.com/?v=mod&modID=11 where you will find a trove of information on vintage saxophones. If you have a Super Balanced Action it’s worth much more than a Super action. The mouthpiece could be somewhat valuable as well depending on when it was made and the condition.